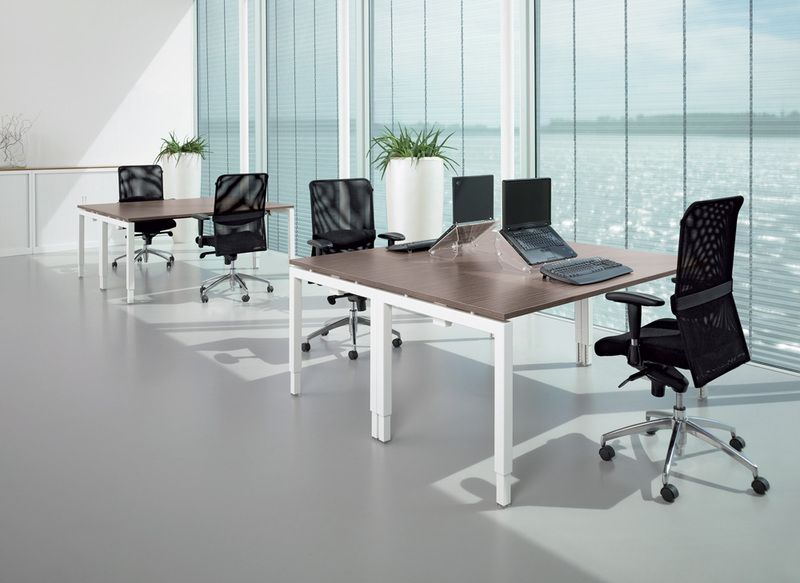 Markant's MOx range of modular workstations is designed for easy assembly and is suitable for a variety of desk configurations. Its MSA+ click beam and patented Eco-fits components allow the desk frames, worktop and additional accessories to be installed quickly and without the use of tools. 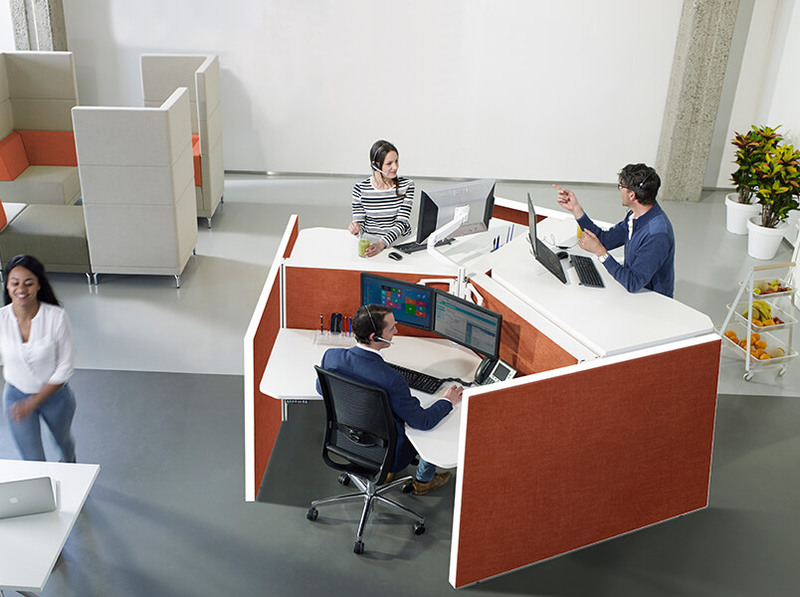 MOx desks are height-adjustable manually using a folding handle or electrically using a motor, contributing to increased employee productivity and health due to heightened physical activity while working. 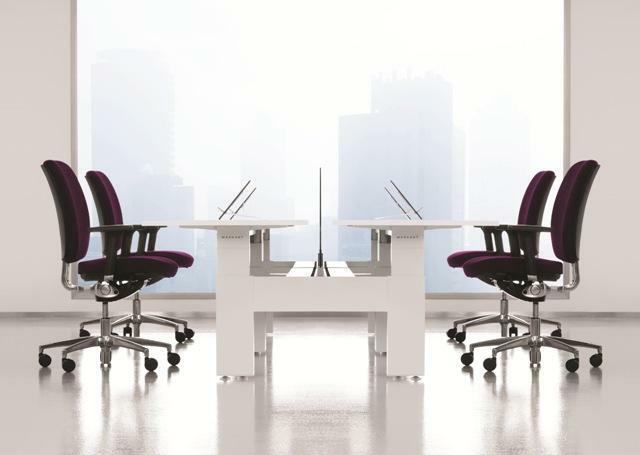 Sleek, smooth lines, exceptional versatility and minimalist style the MOX system fits perfectly into today's dynamic working environment. 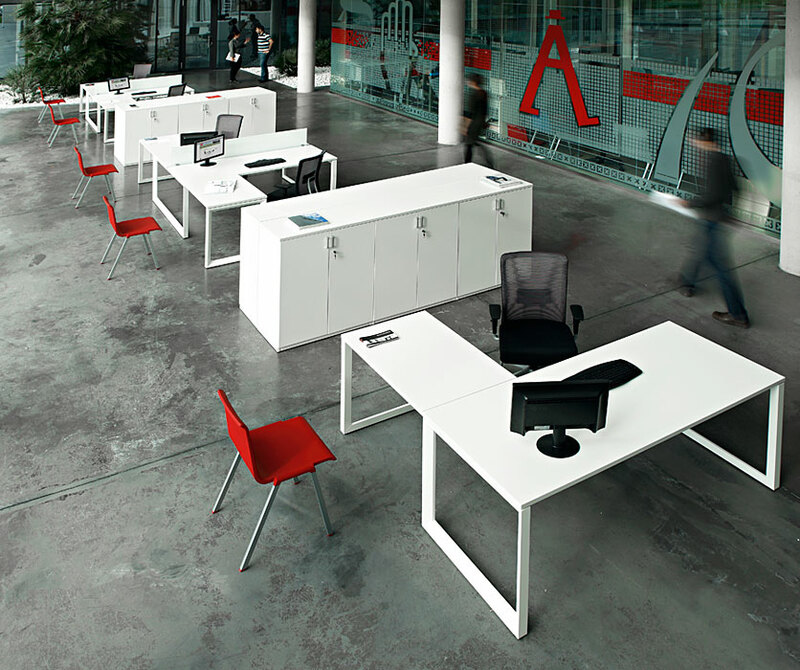 Available in classic configurations as well as more modern design layouts to suit a constantly changing workplace. MOX broad capacity means that the whole office can be furnished using the one system and as a result creating a consistent look all the way through. Available as 4 leg or O leg frame Frames in white or silver Height adjustable Available with a variety of worktop colour options. The frame is available in two colours white and silver. The product is GreenTag GreenRate Level B Certified under Scheme B8. The MOX frame is adjustable from 610mm to 850mm and is manufactured from high grade steel. All desks are equipped with the MSA click mechanism which allows for quick and easy assembly without the need for tools. The MOX leg is 70mm x 30mm rectangular tube, which is bent to shape and seamlessly welded and comes in either a 4 leg or O leg finish.